“Be quick slowly” is a term they use a lot in Vojvodina, the autonomous province in northern Serbia. Something to do with the calm and unruffled way of life they lead there. Or perhaps it could be something to do with the plethora of monasteries nestled in the forested hills of Fruška Gora, or the endless golden wheat fields of the Great Plains. Belgrade may well be the beating heart of Serbia and a party town to rival the likes of Berlin, but venture outside the capital and you’ll get to discover what lies beyond, a country that will never cease to surprise you. So after a few days in Belgrade, where to next? Here are a few suggestions for you. Enough to really give you a feel for the Serbia beyond Belgrade. A country with a big heart, open arms and endless potential. Serbia’s second city lies on The Danube like a laid-back stress-free family member who lets the other siblings run around like headless chickens. 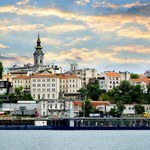 Where Belgrade expands and develops at a pace, Novi Sad simply enjoys being what it is; a river-side city of culture, parks and galleries and a sack full of cafes and restaurants. Take a stroll and an ice-cream along Dunavska, Novi Sad’s pretty car-free thoroughfare which runs from The Danube to Zmaj Jovina Street. Lined with cafes and shops it still has buildings which have survived the destruction from its turbulent past. 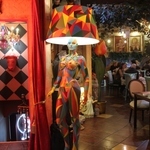 Make sure you visit number 28, the baroque styled “At the White Lion’s” the oldest house in town, dating back to 1720. Also keep an eye out for the many passages leading off the street where you’ll find plenty of little shops tucked away. 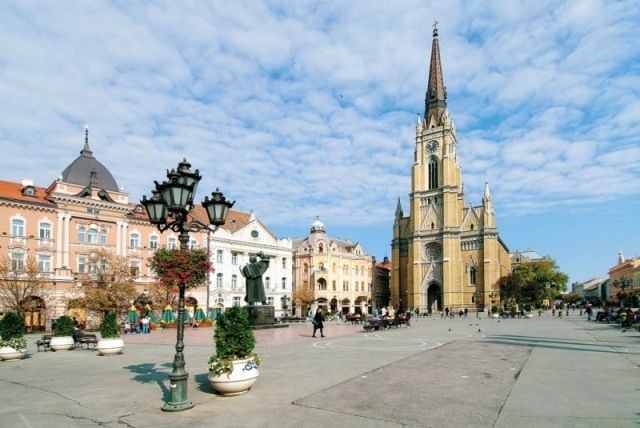 Novi Sad is a very walk friendly city and it can be fun to simply wander around her parks and galleries. Notable buildings to look out for are the Serbian Orthodox Church of St. George at Nikole Pasica Street, the Museum of Vojvodina on Dunavska and the Synagogue complex on Jevrejska. 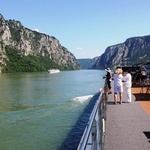 Throughout the summer, most city dwellers can be found on The Strand, a 700 metre stretch of one of the best beaches along The Danube. 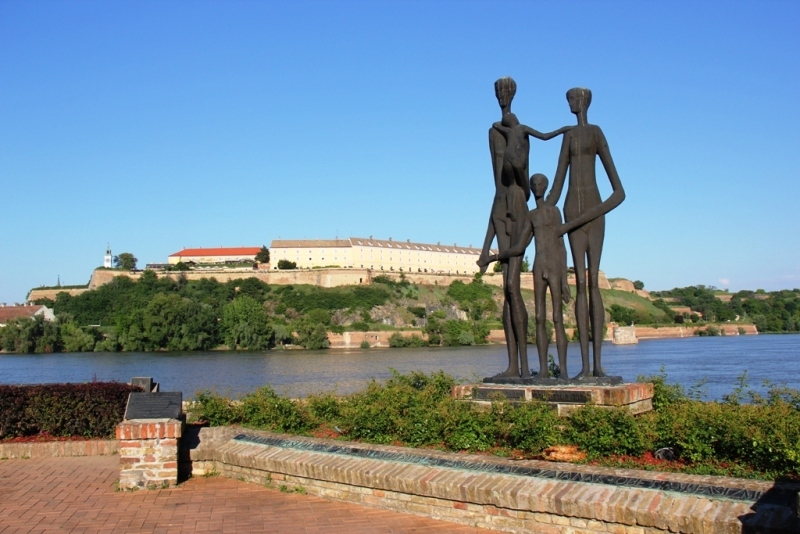 Of course the giant 17th century Petrovaradin Fortress on the eastern bank of The Danube is Novi Sad’s guardian angel. Built by the Hapsburgs in 1687 it was big enough to house 30,000 soldiers and proved to be a formidable defender of the city. Today the EXIT music festival is held inside the grounds each July, but otherwise it is a great pace to explore. While you are on this side of the river, try eating at Aqua Doria. This rustic riverside restaurant is an institution in Novi Sad; excellent traditional Serbian food on the banks of The Danube, what could be better. 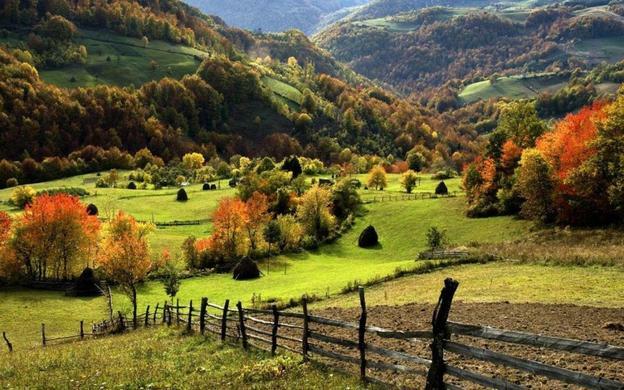 Known as the “Holy Mountain” this national park is the only elevated part of the Vojvodina plains. It’s not particularly high, but it still contains 16 out of the original 35 monasteries that were built here by monks fleeing the Ottomans. One of the oldest is the Krusedol Monastery built in 1516 and beautifully restored. It contains a 1761 Tenecki Baroque landscape under the choir window and some fragments of original frescoes. Perfect for a pitstop, Sremski Karlovci is small town with a big reputation. It’s perhaps most famous as the place where the 1699 peace treaty was signed between The Ottomans and the European powers of the Holy League. It was signed around a round table which became the term used for a discussion group. 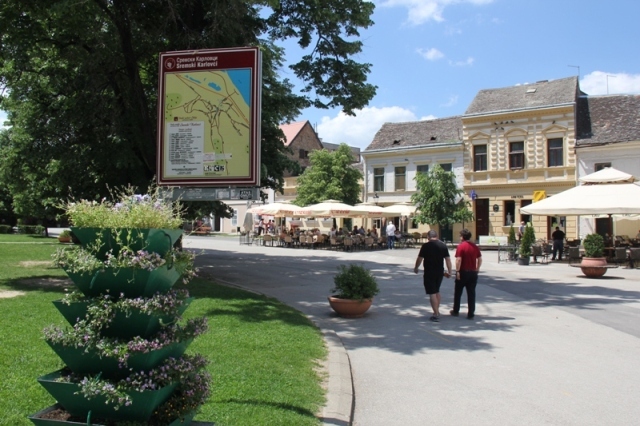 The town is also at the heart of Bermet winemaking. A dessert wine that was famously served aboard The Titanic, it’s made from 27 different herbs and spices from a recipe steeped in secrecy. There are several wineries in the area where you can indulge in some tasting if you’re a lover of the fruit of the vine. The Zivanovic winery has been family-run for generations but interestingly is perhaps better known for its bee-keeping traditions. Jovan Zivanovic was the pioneer of bee-keeping in Serbia and from the honey on sale in the shop, it’s clear they know a thing or two about it. Over in the west, the Guča Trumpet Festival is nothing short of a national event. This small town of just 2,000 inhabitants swells to a staggering 700,000 during the three day brass band festival each August for nearly 56 years. The reason for all this excitement? A golden trumpet. This coveted prize comes at the end of a year-long competition of band heats culminating in a play- off by the finalists on the last day of the festival. 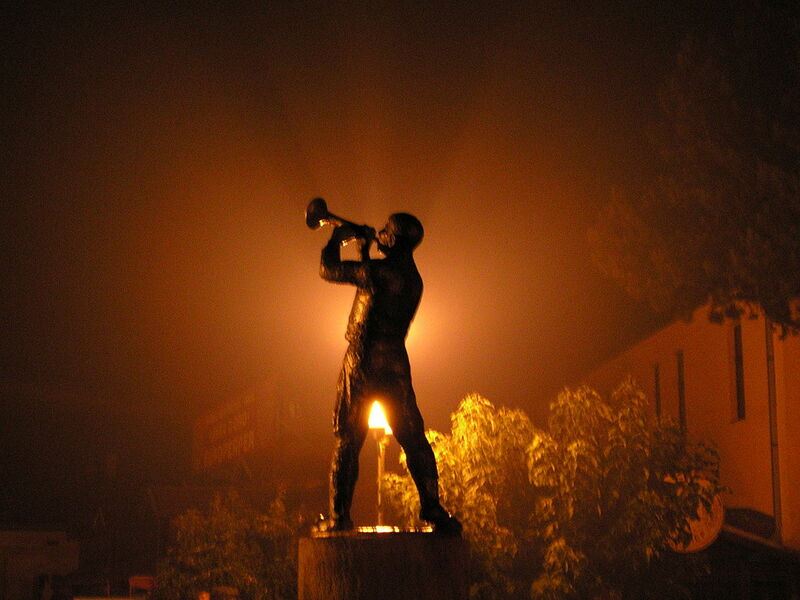 The Dragačevo region of western Serbia has always held the trumpet dear and this festival celebrates these brass instruments from dawn to dusk and onward long into the night. Serbia offers so much more than simply a weekend in Belgrade. By all means come and enjoy Serbia’s capital, but make time to return and do the rest of Serbia justice. Tell me more about Serbia beyond Belgrade.